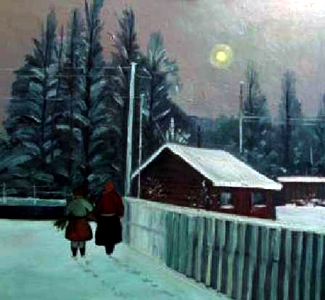 Figures in a Russian Snowscape. 59cm x 64cm. Oil. Sold. ﻿ Trees in Richmond. 64cm x 59cm. Oil on canvas. Fauve Landscape. Oil. 64cm x 66cm. Sold. 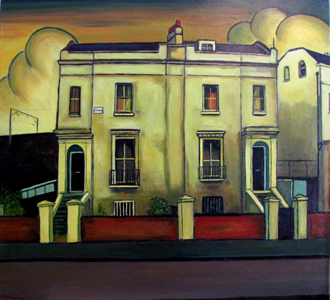 Hawley road. oil. Sold. 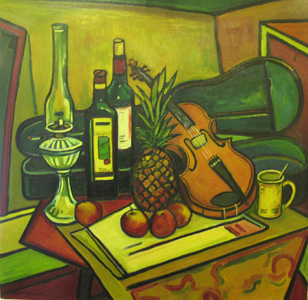 Still Life with violin. Oil. Sold.